A new service assessing the risk of the presence of Japanese Knotweed near a property uses a model of the species occurrence and data from the Centre for Ecology & Hydrology and the Botanical Society of Britain and Ireland. Property search company STL Group is offering the new free alert service when conducting residential searches for conveyancing purposes. Japanese Knotweed is a highly aggressive and destructive plant - the Japanese Knotweed Hazard Alert can immediately inform of the risk of its presence, automatically identifying if the risk is low, medium or high. Japanese Knotweed has been described as the UK’s most aggressive and destructive invasive plant. It is a legal requirement to prevent it spreading into the wild and causing a nuisance. Dr Kevin Walker, Head of Science at BSBI, said, "BSBI volunteers have been recording the spread of Japanese knotweed since it was first recorded in the wild in 1886: this has formed the basis for a substantial body of research into its ecology, spread and invasiveness. Although still relatively uncommon in the wild, it can become very abundant in the right sort of habitat - disturbed places close to habitation where it spreads through the dispersal of root fragments (usually in dumped soil). In these locations, it can exclude all other plants species and cause physical damage to man-made structures such as pavements, walls, foundations, and roads." 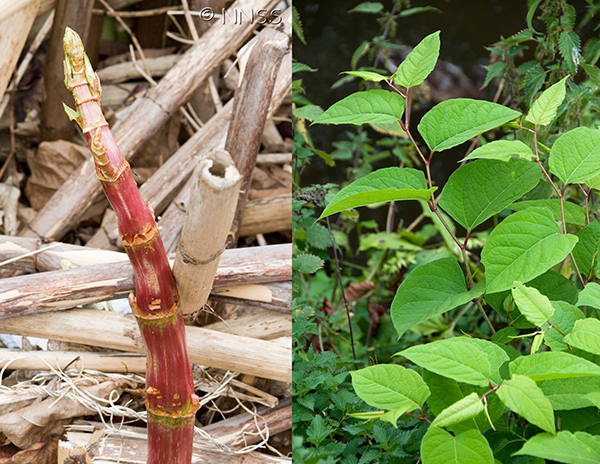 The new hazard alert uses an exclusive risk model and data from the Centre for Ecology & Hydrology (CEH) and the Botanical Society for Britain and Ireland (BSBI), in association with STL, to assess the probability of the presence of Japanese Knotweed on a property. This is based on documented occurrences of the plant and environmental factors determining its distribution. The results are indicative and no site visit has taken place.